Recently two of our Board members - Oscar Martinez and Michael Mokka, have resigned, Oscar due to relocation to another city, and Michael due to extended international travel. We thank them for their contributions and wish them all the very best in their future. We would like to welcome to our Board Tomas Mendez as our new VP of Finance. Tomas, born in Hato Rey, Puerto Rico, attended Marquette University and graduated with a B.S. in Electrical and Computer Engineering. He worked a mix of sales and structural design jobs before joining Duke Energy, where he has held roles as a Project Engineer in Distribution Design, and is currently the Distribution Planning Engineer for the Downtown A.C. Secondary Network. He also oversees Capacity Planning in the Central West area of Cincinnati. Tomas also holds a number of roles as President of Student with Special Smiles, Chair of Latinos Energizing Diversity (a Duke Energy employee resource group), the United Way fundraising committee, the Artswave fundraising committee, liaison between Duke Energy and the Hispanic Chamber of Commerce, Diversity Lead in Duke Energy’s Midwest Delivery Organization, member of the American Red Cross Diversity Committee, and volunteer for fundraising work at the Great American Ballpark. 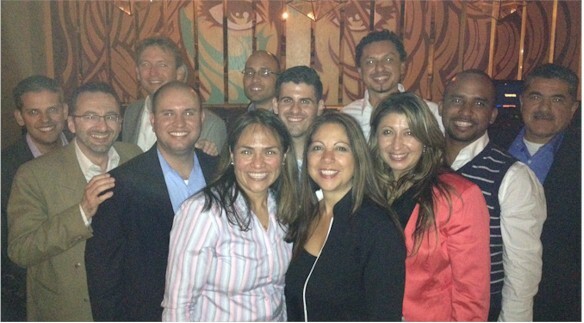 Board members who work for GE Aviation participated this week at the GE Hispanic Summit. The keynote speaker was Pilar Montoya, the CEO of SHPE. It was a perfect opportunity to meet with her and exchange ideas about SHPE.